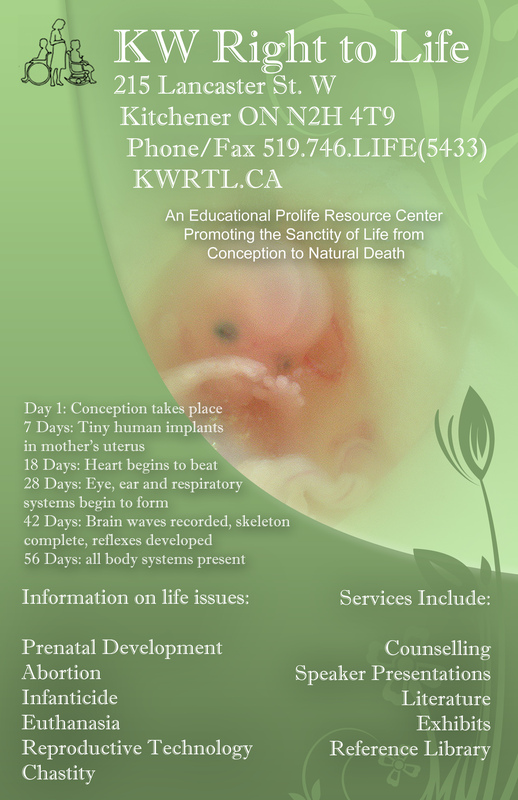 Since January 28, 1988 Canada is 28 years without a law to protect the preborn child at any stage until birth. Ending life at its beginning by abortion is allowed for any reason including the gender of the baby. Preborn babies are not the only victims of abortion. Mothers, fathers and family also share in the grief causing guilt, depression, substance abuse and even suicide. The expanding occurrence of Mental Health issues are in media headlines as the Canadian Medical Association struggles to keep up with the demand to increase Mental Health services including suicide prevention. Familly physicians are being trained to take on a bigger role. Band-aid solutions like reducing pack sizes of pain killers do not address the real issues leading to increased substance abuse and suicide rates. Ironically, the proposal of legalizing Marijuana complicates the need for psychological interventions for suicidal behaviour from substance abuse. Being one’s own moral agent in life and death matters is being extended from abortion to legally ending a life through assisted suicide. It is a spiritual poverty that creates a solution of killing. All kinds of pain and suffering need real solutions like improved palliative care that addresses alleviating physical, mental and spiritual pain. Valuing human life and protecting it at all stages shows the beauty and importance of every person throughout the life cycle. It brings greater spiritual wealth to everyone.